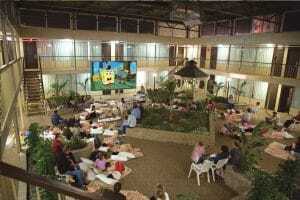 Family Movie Night in the courtyard at Skyline Hotel & Waterpark. There are a lot of fun and exciting things to do in Niagara Falls during winter, but sometimes you need to take a break from the cold and relax inside with a good movie. So here are four of the best winter movie events in Niagara where you can catch newly released films and classic favourites. From now until February 17th the Shaw Festival Theatre in Niagara-on-the-Lake is hosting their annual Film Series, which features weekly screening of critically acclaimed films and documentaries at the beautiful Festival Theatre. This year’s films include The Big Sick, I, Tonya, Lady Bird, and A United Kingdom, while documentaries include For Grace, Rumble: The Indians Who Rocked the World, George Harrison: Living in the Material World, and Dancer. The new First Ontario Performing Arts Centre in downtown St. Catharines is hosting a Film House series featuring a diverse range of great films from past and present. Upcoming films on the Film House’s lineup include Starship Troopers, The Disaster Artist, D.O.A., The Florida Project, The Square, and The Breadwinner. The Niagara Falls History Museum, located on Ferry Street in downtown Niagara Falls, is hosting a Black America on Screen: Winter Film Series, featuring screenings of films from the 1960s to today. Films included in this year’s series include In the Heat of the Night on January 25th, Hollywood Shuffle on February 8th, Middle of Nowhere on February 22nd, and Do the Right Thing on March 8th. 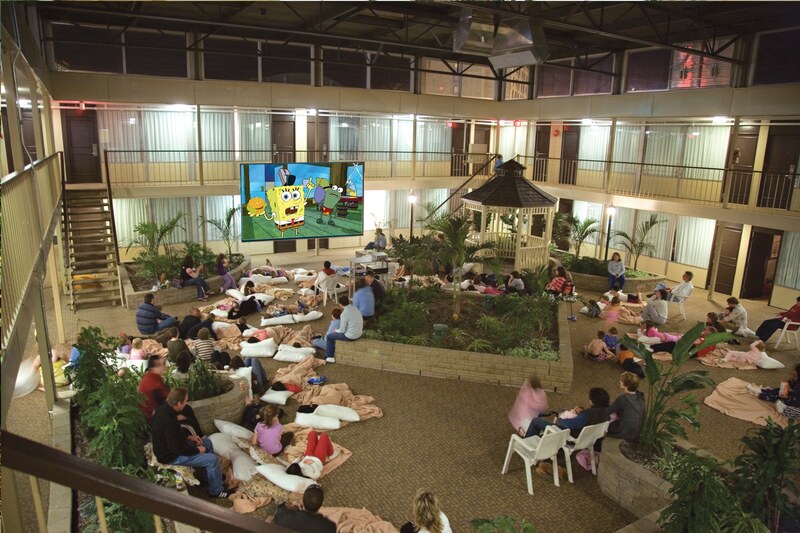 Every night that the Fallsview Indoor Waterpark is open, Skyline Hotel & Waterpark hosts a Family Movie Night where guests can bring blankets, pillows, and munchies to the hotel’s indoor courtyard and watch a fun family movie together. Gathering in the courtyard is like getting together in the family living room, and with an extra-large movie screen it’s the perfect place to catch a movie after a full day of sightseeing in Niagara Falls.